The Concours of Elegance is pleased to announce fine watchmakers, A. Lange & Söhne, as the headline partner for its 2018 event. Set once again in the stunning grounds of Hampton Court Palace, the Concours of Elegance will host a gathering of some of the most beautiful and important cars ever produced. Concours of Elegance will tell the story of craftsmanship, design and timeless luxury, from the motoring pioneers of the late 19th Century through to the very latest high-performance rarities. More than ever, though, the event will also be a celebration of the finest offerings in the worlds of fashion, art, jewellery and watches. Here, A. Lange & Söhne will present itself with a true-to-detail, three-meters high model of the DATOGRAPH PERPETUAL TOURBILLON. The flyback chronograph with perpetual calendar and tourbillon pairs three horological complications with five supplementary functions, which makes it a top model in the exclusive range of handcrafted timepieces by A. Lange & Söhne. In front of the monumental sculpture, visitors can follow the creation of a Lange movement in close-up and look over the shoulder of a master watchmaker as he executes his artful work. Just as many cars in the Concours are built and shaped by hand, A. Lange & Söhne’s timepieces are assembled by hand. The making of one single watch takes between six and 18 months, from the production of all the tiny movement components to their surface decorations with polishings, engravings and stripings to the hand assembly in the watchmaking ateliers. Each watch is equipped with a hand-engraved balance bridge, featuring the individual style of the engraver. 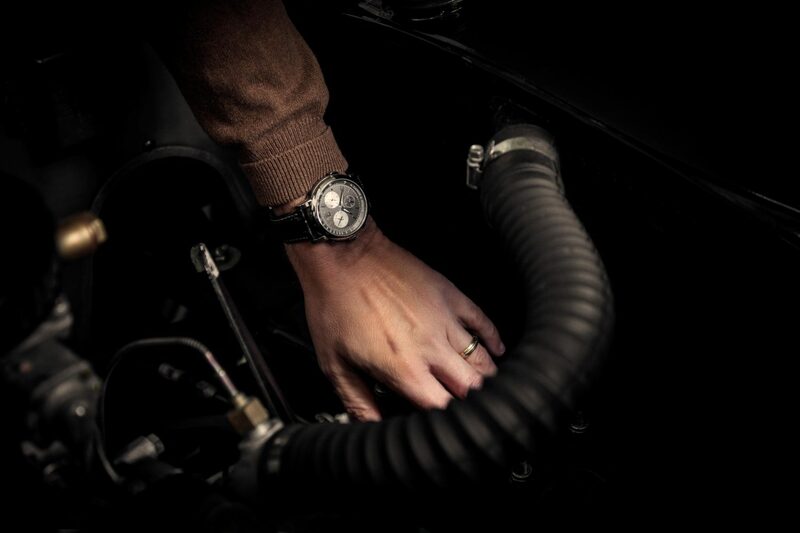 So just as with hand-beaten body panels on a rare coachbuilt Ferrari, each watch will have its own unique features. The name A. Lange & Söhne refers to the watchmaker Ferdinand Adolph Lange. He founded a workshop in Glashütte nearby Dresden in 1845, where he and later his sons and grandsons produced some of the world’s most complex and beautiful pocket watches. In 1990, the brand was re-established by Ferdinand’s great-grandson, Walter Lange, to produce fine gold and platinum wristwatches inspired by the timepieces of his ancestors. The Concours of Elegance 2018 takes place from 31 August to 2 September.